« Why does he persist in calling it “ISIL”? Pundits are struggling to explain Donald Trump’s continued strong — and arguably strengthening — position in the Presidential race. Just imagine him as a Cuban boxer. What was the secret to the Cubans success? 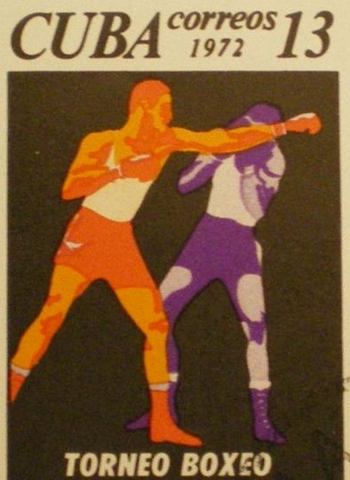 The U.S. boxers were classically “scientific” … they bobbed and weaved … threw jabs and punches …. boxed like gentlemen adhering to the Queensberry rules — a code of generally accepted behavior in the ring. The Cubans, though, didn’t exactly buy-in to the Queensberry conventions. They were more like bar room brawlers. When the bell rang, they would just bull-rush their opponents and start flailing away. Opponents were caught like deer in headlights. They were used to fighting conventional opponents in a disciplined way. Their disciplined techniques didn’t work against the Cuban bulls. Most commentators thought that the Cubans would fade in the medal rounds when they met the superbly skilled and masterfully trained U.S. team. Even the Americans were flummoxed by the Cubans’ unconventional style. Sound like Donald Trump running for President? Boxing is well suited to the Cuban character. We are brave and resolute. We have strong convictions and clear definition. We are pugnacious and we like to fight. Cuban fighters smell fear in their opponents. If they can intimidate you, they’ve got you. Not my words … they’re written by left-leaning Mike Banicle in the Daily Beast. He isn’t surrounded by a flying squadron of handlers and public relations hacks. He will answer any question posed to him and his replies are offered without fear of controversy because a big part of being Trump means you simply do not care what people think about what you just said. He says a lot of outrageous things along with some truly absurd things. Public schools where the emphasis is on testing at the expense of thinking. Donald is scratching your sore. The 1 percent Trump rails about endlessly is the 1 percent who sit in the House and the Senate [and the White House]. They are “the morons” he claims that are incapable of getting anything done. This entry was posted on December 9, 2015 at 6:44 am and is filed under Boxing, Cuba - Cuban, Olympics, Sports - Games - Recreation, Trump, Donald. You can follow any responses to this entry through the RSS 2.0 feed. You can leave a response, or trackback from your own site.